INDIANA SPORTS FANS, BE THANKFUL! It’s a little early for Thanksgiving, although amazingly, it’s 16 days away as you get your copy of today’s Sports Journal. If you’re like me, you’re still working through the extra Halloween candy from a cold night for trick-or-treaters last Wednesday. However, there’s a lot to be thankful for as a sports fan these days in Indiana. The Fighting Irish are a part of the national title talk for the first time in nearly 20 years. The Indiana Hoosiers are the No. 1 team in the country in hoops in the pre-season for the first time in more than 30 years. And let’s not forget about the football Hoosiers, who are trying to win three straight Big Ten games for the first time since the last time the Irish were in that national title talk. 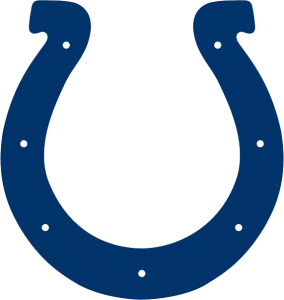 Last, but not least, how about the Indianapolis Colts being in the playoff picture after starting last season 0-13? I consider myself as much of a horseshoe homer as the next guy. In my full-time sports talk radio days, I was known for casually picking the Colts to win the game somewhere along the lines of about 95-percent of the time. But, I didn’t see this coming. I was on the high end of most Colts “experts” when it came to pre-season prognostications, picking the team to finish 6-10, and say that they should be back competing for a playoff spot next season. Looks like the future is now. We are running out of adjectives to describe Andrew Luck. Wise beyond his years. Majestic. Unflappable. Gutty. Clutch. They all apply. His performance on Sunday, breaking the rookie record for passing yards in a game with 433, is the stuff of legend. The Colts as a team were 13 of 19 in converting third downs. Fifty percent is the line of demarcation in the NFL. Over that, you’re winning football games. Miami came into the game as the best team in football in getting off the field on third down. Not this past Sunday. Luck’s numbers on that down alone were borderline insane. Against that top rated third down defense, Luck was 14 of 18 for 222 yards. Do the math, more than half his yards were on third down. Seven of those 13 third down conversions were on plays of 3rd and nine or longer. The final field goal of the first half occurred after a conversion of third and 20. This is stuff that doesn’t even happen when a quarterback in his eighth season. Let alone his eighth career game. To further the level of amazement in the youth movement with this team, 56-percent of the yards gained by the Colts on Sunday were done so by fellow rookies along with Luck. Luck accounted for only five of those yards on one rush. This team had 516 total yards of offense. Vick Ballard had 98, T.Y. Hilton added 103, Dwayne Allen picked up 75, and Lavon Brazill chipped in 25. That’s five rookies along with Reggie Wayne in several formations out of six skill position players during the second half. And they won the game. Over a fellow playoff contender. Of course, if you talk simply about the football aspect, you’re missing the story. For as amazing as those numbers and story lines are, it’s all topped by Chuck Pagano’s appearance before and after the game. Thankfully, the cameras at Colts.com were rolling on the post-game speech, meaning we could all share in the moment. If you watched that for the first time, and you didn’t well up just a bit, check yourself for a pulse. Looking ahead at the schedule, which the Colts themselves have done a great job of avoiding, there are a lot of winnable games. Even if you put games at New England and Houston in the likely to lose category, there’s a lot of games of the eight remaining that you should feel good about. The Bills and Titans at home, Jacksonville without Maurice Jones-Drew this Thursday. A trip to a one-win Kansas City squad in mid-December. Colts fans can hope that the Texans have everything wrapped up by the teams’ final meeting on December 30th and might treat the final game as an exhibition. Simply going .500 over the final eight games could be good enough to get the Colts in the dance at 9-7. Winning five of those remaining games gets the Colts to 10 wins, and that usually gets you extra football games in January. One other important note about that December 30th game. In his press conference on Monday, interim head coach Bruce Arians told the press corps that as Chuck Pagano is beginning his second round of chemotherapy this week, a new goal is on the table for the man who’s quickly become an inspiration to us all. If treatment goes as scheduled, Pagano will be on the sidelines with the team in the final game of the season. If the Colts keep playing as they have in his absence, it also won’t be the last game he gets to coach this season. Count your blessings in this month of November. Our area sports teams have given us plenty of reasons to smile this fall. One of them is giving us a reason to believe in forces more powerful than sports. Let’s just hope the ride continues.